At Birtwistles we do things properly and we do them well. We ensure that our factory and processes exceed government and food industry standards; consistently scoring highly on all audits. Our standards never slip and we keep all our facilities audit ready at all times, so if you’d like to see for yourself just ask. All our products are sourced from approved suppliers with full traceability. 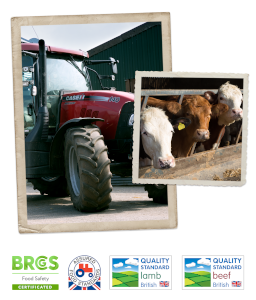 We’re fully aware of our responsibilities at every stage of the supply chain, not only to meet the high standards set by external bodies like the FSA, Trading Standards, RPA, Red Tractor and Freedom Foods, but also to ensure that our customers can trust us to deliver a high standard product that’s always exactly what we say it is.